Photos: History of ballet in the 1930s. In 1931, George Balanchine, who was ballet master and choreographer for the Ballets Russes de Monte Carlo, recruited “baby ballerina” Irina Baronova, a 13-year-old dancer of Russian birth. The company wanted to be modern in its approach, looking to put together quick, smart productions with smaller budgets, less frippery, and more modern choreography than the established companies. Hoping for freshness and flexibility, Balanchine cast very young ballerinas. The company’s name and approach to dance came from an iconic early-20th-century group directed by Sergei Diaghilev, which had performed widely in Europe but only a few times in the United States. The new Ballets Russes companies of the 1930s toured often in the States, and with the accessibility and modernity of their approach, fueled an increase in ballet’s popularity in this country. Irena Baronova’s daughter, actress Victoria Tennant, has recently published a book of her mother’s photographs from this time, Irina Baronova and the Ballets Russes de Monte Carlo. 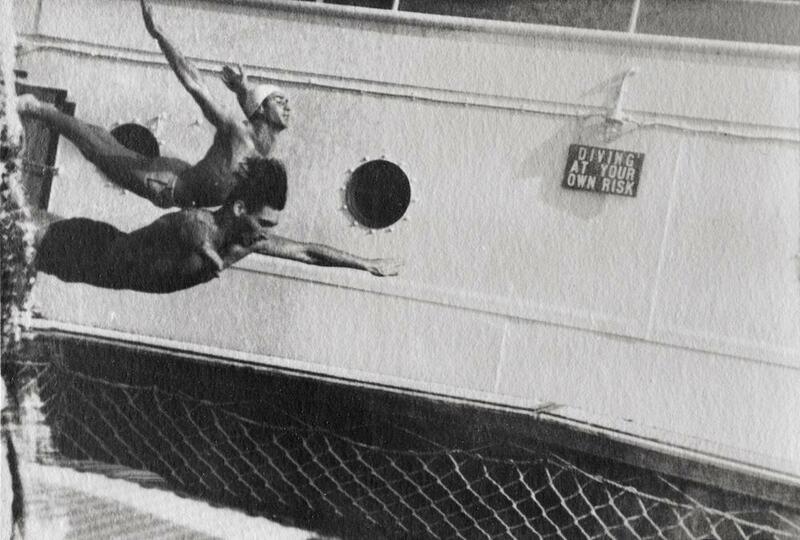 The book includes many joyful snapshots of the Ballets Russes dancers swimming, diving, and dancing at the beach or the pool on their days off. In the intense athleticism of their horseplay, we can get a glimpse of what it might have been like to see them on stage. Yurek Lazowsky and Narcisse Matouchevsky on the beach, Monte Carlo, 1932. Irina Baronova and the Ballets Russes de Monte Carlo. 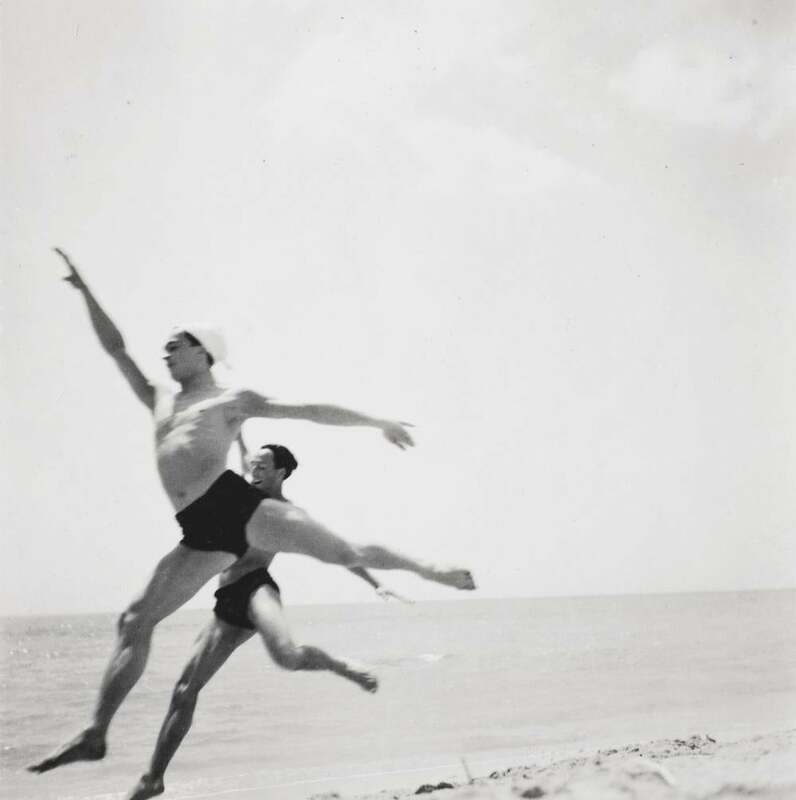 Narcisse Matouchevsky and Yurek Lazowsky on the beach, Monte Carlo, 1932. Irina Baronova on the beach, Monte Carlo, 1932. 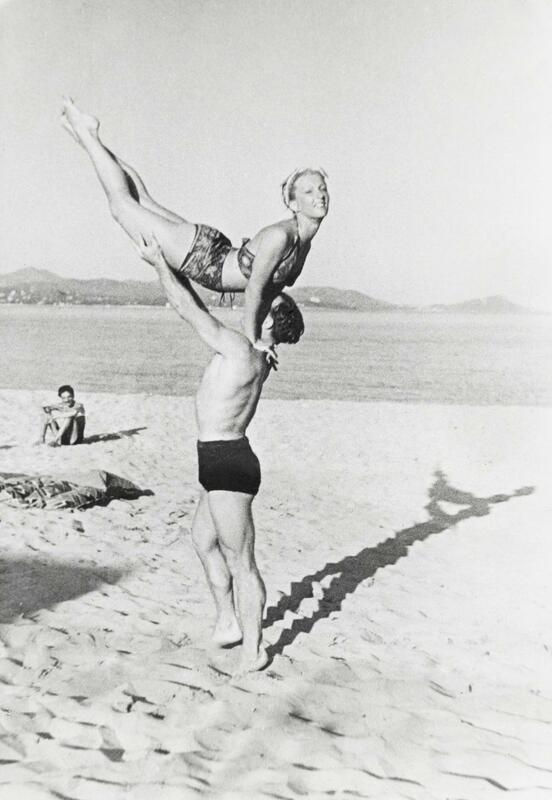 Tania Riabouchinska and David Lichine on the beach, Monte Carlo, 1932. 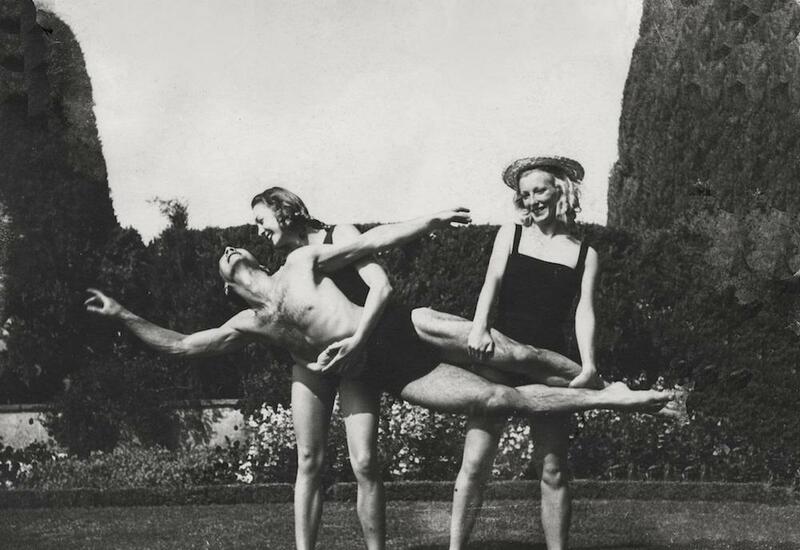 David Lichine, Baronova, and fellow “baby ballerina” Tatiana Riabouchinska at a villa in Florence, summer 1937. 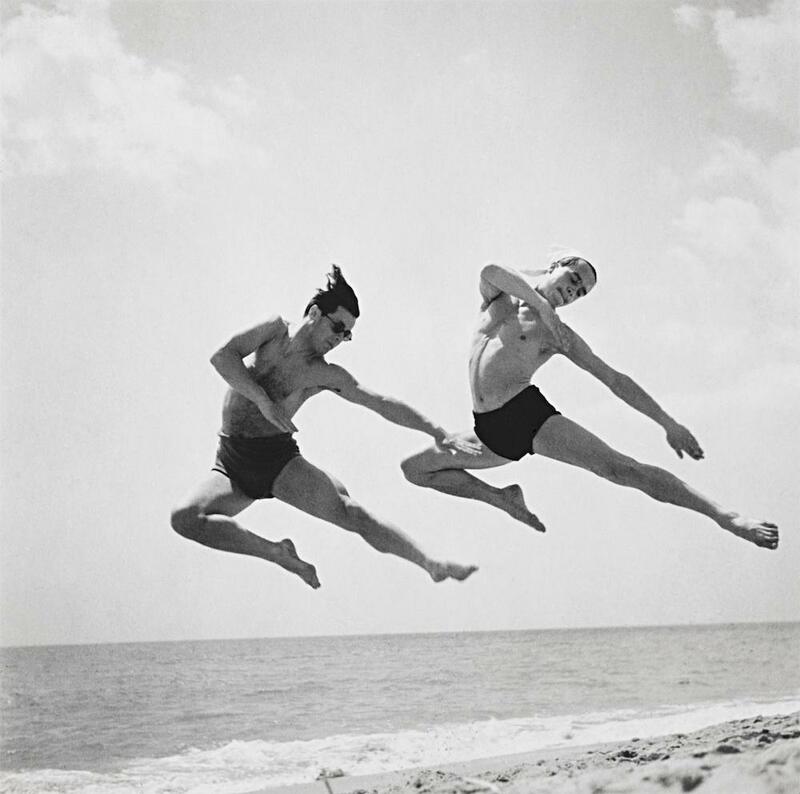 This day of messing around at the villa’s pool yielded an idea for a new ballet, Protée, which Lichine choreographed and staged the following year. 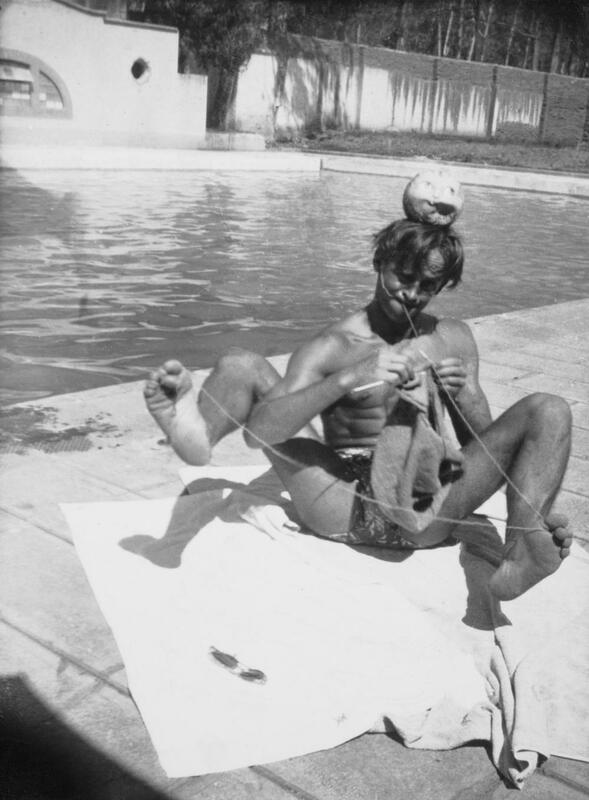 Borislav Runanine clowning with Baronova’s knitting, poolside, Florence, summer 1937. 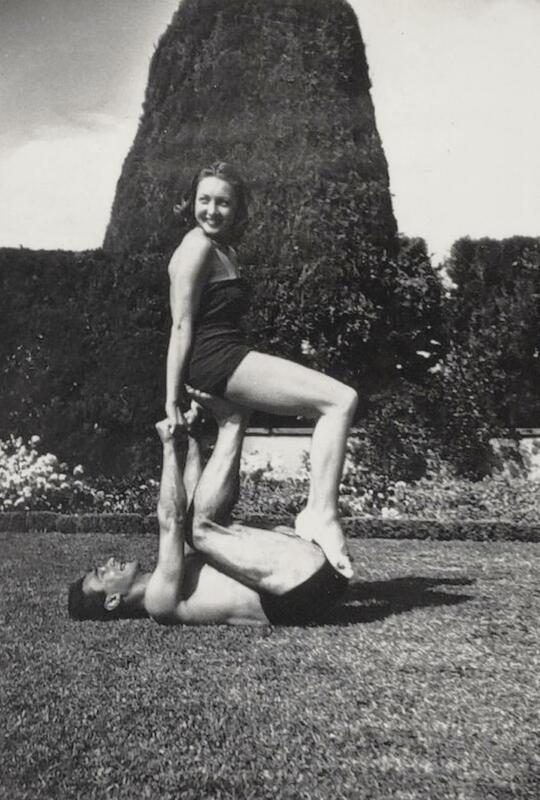 Lichine and Baronova, on the villa’s lawn, Florence, summer 1937. 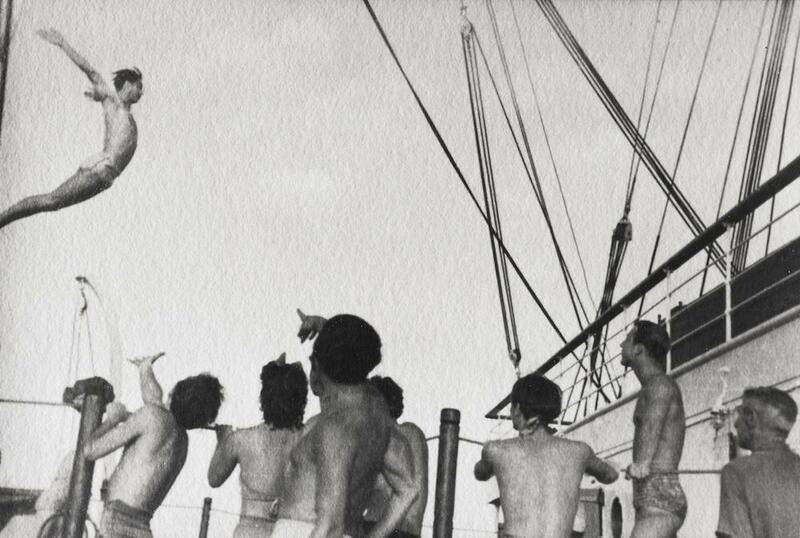 On board the Maloja, 1938-39. Unidentified group of dancers at Jacob’s Pillow, a dance compound in Massachusetts where Baronova worked while she was with the New York-based Ballet Theatre in the early 1940s.